That part of the work of this day; which I have been derived to take, is to give the Charge to you, my Brother, who have been at this time ordained pastor of this church; and which I have chore to do in the above word's of the apostle Paul to Timothy, to whom this epistle is directed. I. The principal thing it is concerned about, the form of sound words. II. The exhortation respecting it, to hold it fast. III. The manner in which it is to be held, unless it should be rather a reason why it should be held fast, which thou hast heard of me, in faith and love, which is in Christ Jesus. I. The principal thing this charge is about, the form of sound words. By words are not meant mere words, of there we should not be tenacious, when one may as well be used as another, to express the sense and meaning of any doctrine; when words are synonymous, signify the same thing, and convey the same idea, to wrangle and dispute about them would be vain and trifling; such mere logomachies and strivings about words to no profit, are condemned and dissuaded from, by our apostle (1 Tim. 6:4; 2 Tim. 2:14.) 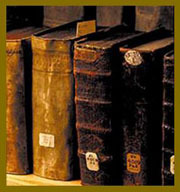 Yet when words and phrases have long obtained in the churches of Christ, and among the faithful dispensers of the word; the sense of which is determinate and established, and well known, and they fitly express the meaning of those that use them; they should not be easily parted with, and especially unless others and better are substituted in their room; for there is often truth in that maxim, qui singit nova verba, nova gignit dogmata, "he that coins new words, coins new doctrines." Should any man require of me to drop certain words and phrases in treating of divine truths, without offering to place others and better in their room; I could consider such a man in no other view, than that he had an intention to rob me, to rob me of what is more precious than gold and silver, that is, truth. There are certain words and phrases excepted to by the adversaries of truth, because they are not, as said, syllabically expressed in scripture; but be it so, if what they signify is contained in scripture, they may be lawfully and with propriety used, and retained in use: some concern the doctrine of the divine Being, and others the work of Christ; some relate to the divine Being, as essence, unity, trinity in unity, and person. Essence is no other than that by which a thing or person is what it is, and may with great propriety be attributed to God, who is to on, the being, who is, exists, and which his glorious name JEHOVAH is expressive of, deciphered by the apostle John, who is, and was, and is to come (Rev. 1:4). Nor need we scruple the use of the word unity with respect to him, since our Lord says, I and my Father are one (John 10:30); one in nature and essence, though not in person; nor the phrase trinity in unity, since the apostle John says, there are three that bear record in heaven, the Father, the Word, and the holy Ghost; and these three are one (1 John 5:7): as for the word person, that is used in scripture both of the Father and of the Son; the Son is said to be the express image of his person (Heb. 1:3), that is, of the person of God the Father; and the Son must be a person, too, or he would not be the express image of his Father's person; betides, the word is used of him also, for we read of the light of the knowledge of the glory of God in the face of Jesus Christ (2 Cor. 4:6); or in the person of Christ, and so the phrase is rendered in the same epistle (2 Tim. 2:10); for your sakes forgave I it in the person of Christ. Such phrases as concern the work of Christ objected to, are the imputation of his righteousness to his people, and the imputation of their sins to him, and the fails-faction made by him for them; as for imputed righteousness, that is nearly syllabically expressed, even as David also decribeth the blessedness of the man, unto whom God imputeth righteousness without works (Rom. 4:6); and as for the imputation of sin to Christ, though it is not in so many syllables expressed, the thing itself is plain and clear: he hath made him to be sin for us, who knew no sin (2 Cor. 5:21); that is, God made him sin by imputing sin to him, for in no other way could he be made sin, since no sin was inherent in him; and this agrees with the language of the Old Testament, the Lord hath laid on him, or made to meet on him, the iniquity of us all (Isa. 53:6); that is, by imputing it to him. And though the word satisfaction is not used of the work of Christ in scripture, yet what is meant by it is plentifully declared in it; as that Christ has done and suffered in the room and stead of his people, every thing with well-pleasedness to God, and to the full content of law and justice; as when it is said, The Lord is well-pleased for his righteousness sake (Isa. 42:21); the reason follows, he will magnify the law, and make it honorable; and also Christ hath given himself for us, an offering and a sacrifice to God far a sweet smelling savor (Eph. 5:2); so that it may be truly said, God is fully satisfied with the obedience, righteousness, sufferings, death and sacrifice of Christ, But after all, the apostle in the charge given does not design mere words but doctrines; so the words of our Lord Jesus Christ (1 Tim. 6:3), he somewhere speaks of, are no other than the doctrines preached by Christ, or the doctrines concerning his person, offices and grace; and the words of the apostles of Christ, are no other than their doctrines; their found went into all the earth, and their words, that is, their doctrines, unto the ends of the world (Rom. 10:18): and these are the words of faith and good doctrine, in which Timothy was nourished (1 Tim. 4:6): and these are found words or doctrines; so we often read of sound doctrine, as, if there be any other thing, that is contrary to found doctrine; and the time will come, when they will not endure, sound doctrine; and that he may be able by sound doctrine to exhort, etc. and speak thou the things which become sound doctrine (1 Tim. 1:10; 2 Tim. 4:3; Titus 1:9; 2:1); and which may be called sound, in opposition to the doctrines of false teachers, the perverse disputings men of corrupt minds, destitute of the truth, and reprobate concerning the faith (1 Tim. 6:5; 2 Tim. 3:8); whose words or doctrines eat as doth a canker (2 Tim. 2:17), prey upon the vitals of religion; and are said to be pernicious, ruinous, and destructive to the souls of men; and some of which the apostle, without any breach of charity, borrows the epithet of damnable upon (2 Pet.2:1,2): and good doctrines may be called sound, because they are in themselves salutary and healthful; pleasant words, as the wise man says (Prov. 16:24), and such evangelical doctrines be; they are as an honey-comb, sweet to the soul, and health to the bones: the words or doctrines of our Lord Jesus Christ and his apostles are wholesome ones, salubrious and nourishing; the words of faith and good doctrine have a nutritive virtue in them, under a divine blessing, to nourish persons up unto eternal life; they contain milk for babes, the sincere milk of the word, which they desire that they may grow thereby; and meat for strong men, who have their spiritual senses exercised, to discern between good and evil; and there being found by believing fouls, are eaten, and prove to be the joy and rejoicing of their hearts, and are more esteemed of by them than their necessary food. Now there is a form of these sound words or doctrines: by which may be meant the form or manner of teaching them; as the Jew, who was an instructor of others, had his form of knowledge and of truth in the law (Rom. 2:20), a method of instructing in the knowledge of it, and of teaching the truths contained in it; so a Christian teacher has the form of godliness (2 Tim. 3:5), a form of knowledge of it, and a method of teaching the mysteries of godliness, though sometimes without the power of it: or rather, here it signifies a brief luminary or compendium of truths; the Jew had his creed, which contained the fix principles, the beginning of the doctrine of Christ, the author of the epistle to the Hebrews speaks of; which the believing Christian was not to stop at and stick in, but to go on to perfection; to embrace and profess doctrines more sublime and perfect. The apostle Paul, that complete, exact, and accurate preacher of the gospel, reduced the subject of his ministry and the doctrine he preached, to two heads, repentance toward. God, and faith toward our Lord Jesus Christ (Acts 20:21); he gives a most excellent form of sound words, and a summary of the gospel in Romans 8:29,30. Whom he did foreknow, he also did predestinate:, moreover, whom he did predestinate, them he also called; and whom he called, them he also justified; and whom he justified, them he also glorified; and which some, not improperly, have called the golden chain of man's salvation; every link in it is precious, and not to be parted, and the whole is not to be departed from: the word upotupwsiv, here used, may signify a pattern, and so it is rendered 1 Timothy 1:16, the allusion is thought to be to painters, who first form a rough draught, or draw the outlines of their portrait, which is as a pattern to them, within the compass of which they always keep, and beyond which they never go. A scheme, a system of gospel-truths may be extracted from the scriptures, and used as a pattern for ministers to preach by, and for hearers to form their judgments by, of what they hear; which seems to be what the apostle calls the analogy or proportion of faith (Rom. 12:6), which should not be deviated from: if any man teach otherwise, and continue not to wholesome words, even the words of our Lord Jesus Christ, and to the doctrine which is according to godliness; he is proud, knowing nothing (1 Tim. 6:3): and again, says the apostle, though we, or an angel from heaven, preach any other gospel unto you, than that which we have preached unto you, and he adds, than that ye have received, let him be accursed (Gal. 1:9,10); and this is the tupov, or form of doctrine (Rom. 6:17), which is delivered to the saints, or into which they are delivered, as into a form or mold, and become evangelized by it; and according to this they are to form their judgment of preachers, and shape their conduct and behavior towards them; for if they bring not the doctrine of Christ with them, they are not to receive them, nor bid them God-speed (2 John 1:10): if ministers, when they have formed and digested from the scriptures a scheme and system of gospel-truths, would be careful to say nothing contradictory to it; there would not be that want of consistency, so justly complained of, in the present ministry in common, nor that confusion in the minds of hearers. First, With the doctrine of the Trinity of persons in one God, which is the foundation of revelation, and of the economy of man's salvation; it is what enters into every truth of the gospel, and without which no truth can be truly understood, nor rightly explained: it consists of various branches; as that there is but one God, and that there are three distinct persons in the Godhead, Father, Son and holy Spirit, and that there are equally and truly God. There is but one God; this is the voice both of reason and revelation; it is the doctrine of the Old and of the New Testament; it is the doctrine of Moses and the prophets; hear O Israel, the Lord our God is one Lord (Deut. 6:4): and it is the doctrine of Christ and his apostles; of Christ, who calls the above words, the first of all the commandments (Mark 12:39); and of the apostles, who declare, there is one God and one Mediator (1 Tim. 2:5), to believe and profess this truth is right and well, thou believest that there is one God, thou dost well (Jam. :19): all professing Christianity are Unitarians in a sense, but not in the same sense; some are Unitarians in opposition to a trinity of persons in one God; others are Unitarians in perfect consistence with that doctrine. Those of the former sort stand ranked in very bad company; for a Delft: who rejects divine revelation in general, is an Unitarian; a Jew that rejects the writings of the New Testament, and Jesus of Nazareth being the Messiah, is an Unitarian; a Mahometan is an Unitarian, who believes in one God, and in his prophet Mahomet; a Sabellian is an Unitarian, who denies a distinction of persons in the Godhead; a Socinian is an Unitarian, who asserts that Christ did not exist before he was born of the virgin, and that he is God, not by nature, but by office; an Arian may be said, in a sense, to be an Unitarian, because he holds one supreme God; though rather he may be reckoned a Tritheist, since along with the one supreme God, he holds two subordinate ones. Those only are Unitarians in a true and found sense, who hold a trinity of distinct persons in one God. This is the doctrine of divine Revelation, the doctrine of the Old and of the New Testament, the doctrine of that famous, text before mentioned, hear O Israel, the Lord our God is one Lord; the word for our God is plural, the word used is Elohim, a word of the plural number, and expressive of a plurality of persons; and the sense of the words is, and it is the sense of the ancient Jews, our God, Elohenu, the three divine persons are one Jehovah, one Lord; and with this perfectly agrees what the apostle John says, there are three that bear record in heaven, the Father, the Word, and the Holy Ghost; and these three are one,(1 John 5:7), are one God. The authenticity of this. passage has been disputed, but not disproved; the knowledge and use of it may be traced up to the times of Tertullian, who lived within a hundred years or thereabouts of the writing of the autograph itself by the apostle John; but could it be disproved, the doctrine is to be defended without it, as it was by the ancient Christians against the Arians: the proof of it is abundant; not to take notice of any other but the baptism of Christ, and the form of the administration of baptism prescribed by him; at the baptism of Christ, all the three divine persons appeared; there was the Son of God clothed in human nature, submitting in that nature to the ordinance of baptism, being baptized of John in Jordan's river; and there was the Father, who by a voice from heaven declared, saying, this is my beloved Son, in whom I am well pleased (Matthew 3:17); and there was the Spirit of God, who descended upon him as a dove; this was reckoned so clear a proof of a trinity of persons, that the ancients used to say, "Go to Jordan, and there learn the doctrine of the trinity:" and the form of the administration of baptism prescribed by our Lord, which was to baptize in the name of the Father, of the Son, and of the Holy Ghost (Matthew 28:19); is such a testimony of a trinity of persons in unity, that the whole herd of Antitrinitarians, of whatsoever name, are not able to destroy; a proof this of the divinity of each person, since baptism administered in their, name, is a lateran act of religious worship, and which otherwise would he idolatry; and of the equality of each person, since it is ordered to be administered equally in the name of the one, as in the name of the other; not in the name of one supreme God, and in the name of two inferior ones; and of the distinction of there by the relative properties in the divine nature, paternity, filiation and spiration; and of their unity as the one God, since the order is to administer baptism not in the names, but in the name of Father, Son and Spirit. And now it is to be believed and to be held fail, that there are equally and truly God: of the Father there is no dispute; and of the deity of the Son there need be no question, since of the Son of God it is expressly said, this is the true God and eternal life (1 John 5:20); and again, unto the Son, he saith, Thy throne, O God, is for ever and ever (Heb. 1:8); the divine names he bears, and the divine nature and perfections, and the fullness of them he is possessed of; the divine works which are attributed to him, and the divine worship paid him, are full proofs of his true and proper deity: and that the holy Spirit is truly and properly God, is manifest in that, lying to him is called lying to God: the name Jehovah is given him which belongs only to the most High; he is described as a person, having understanding and will, and to whom personal actions are ascribed, and as a divine person, possessed of eternity, immensity, omnipresence, omniscience, etc. and the do, fine of the deity of there persons should be held fast, since this has an influence on the works ascribed to them, and without which they could not have been performed by them: and along with this is to be taken the doctrine of the eternal generation of the Son of God, and which, with the rest, my Brother, you ape to hold fail; since this is the hinge on which the doctrine of the trinity defends, without this it cannot be supported; take away this, and it falls to the ground; this the Antitrinitarians of every name are sensible of, and therefore bend all their force and spite against: it, and is a reason why it should be held fall: by us: that Christ is the Son of God, is attested by the divine persons themselves; and has been acknowledged by angels and men, good and bad but the thing is, in what sense he is so: not in any of the Socinian senses; I say, not in any of them, because they are many, which shows the wretched puzzle and uncertainty they are at about it; for there can be but one true sense in which Christ is the Son of God: he is not called the Son of God, because of some likeness in him to God, as they sometimes say; nor because of the affection of God to him, as at other times; nor is he so by adoption; nor on account of his miraculous incarnation; nor of his resurrection from the dead; nor of his mediatorial office: but since he is said to be the begotten Son of God, and to be the only begotten of the Father, and the Father is laid to be his own Father, his proper Father, and so not in an improper, figurative and metaphorical sense, he appears to be the Son of God by the generation of him, who said, Thou art my Son, this day have I begotten thee (Ps. 2:7): how and in what manner the Son is begotten of the Father, I do not pretend to explain, nor ought any; but I firmly believe he is, and that for this very good reason, because the scripture asserts it; we beheld his glory, the glory as of the only begotten of the Father (John 1:14); we know but little of our own nature, and still less of the nature of God, and should be content with the account which he himself has given of it, who bet: understands it. For what is his name? that is, his nature, and what is his Son's name, if thou cant tell? (Prov. 30:4). I have said, that "the doctrine of a trinity of persons in the unity of the divine essence, depends upon the article of the son's generation, and therefore if this cannot be maintained, the other must fall of course;" and for my own part, could I be prevailed upon to part with this article of faith, I would at once give up the doctrine of the trinity, as quite indefensible; and indeed it would be the height of folly to talk of a distinction of persons in the Deity, when the foundation of such distinction is removed; for we pretend to no other distinction in it, but what arises from the internal relative properties in God, as paternity, filiation and spiration, the ground of which is, the eternal generation of the Son; for without that there can be neither Father, nor Son, nor Spirit. The works of God done by him, such as those of creation, redemption and grace, and offices bore, serve to illustrate the distinction made, but could never make any: the works of God are ad extra, and are common to the three persons, and therefore do not distinguish them; for though some works are more peculiarly attributed to one than to another, each has a concern in them all: besides they come too late, they are wrought in time, whereas the nature of God, be it what it may, is eternal; and if there is any distinction in it, it tour be natural, original and eternal; and indeed the Father was never without the Son, nor the Son without the Father, but was the eternal Son of the eternal Father and neither of them without their breath or spirit, the Spirit which proceedeth from the Father, and is the Spirit of the Son: besides, as what God is, and he is what he always was, he is, and was so necessarily; and if there is any distinction in his nature, it is of necessity, and not of will; whereas the works of God are arbitrary things, which might or might not have been, according to the will and pleasure of the divine Being; but God would have been what he is, and if there is any distinction in him, it must have been, if these had never had been; if there never had been an angel created, nor a man redeemed, nor a sinner sanctified, nor any office sustained by Christ as mediator, which is arbitrary also. This then being the case, if the article of the Son's generation cannot be maintained, as then there can be no distinction of persons, we must unavoidably sink into the Sabellian folly; therefore, my Brother, hold fall: this part and branch of the form of sound words. Secondly, Another part of this form of found words to be held raft, is the doctrine of the everlasting love of the three persons to the elect; the love of the Father in choosing them in Christ, providing a Savior for them, and fending him in the fullness of time to work out their salvation; the love of the Son in becoming a surety for them, in the assumption of their nature, and in suffering and dying in their room and fiend, to obtain their eternal redemption; and the love of the Spirit in applying grace unto them, implanting it in them, in being their Comforter, the Spirit of adoption to them, and the earnest of their inheritance, and the sealer of them up unto the day of redemption: this love is to be held, and held fail, as being sovereign and free; nor arising from any cause or causes in men, from any motives and conditions in them; not from their loveliness, being defiled and loathsome as others, and by nature children of wrath; nor from their love to God, since he loved them first, and when they did not love him; nor from their obedience and good works, since while they were foolish and disobedient, the love and kindness of God the Savior towards man appeared; but from the will and pleasure of God, who loved them because he would love them. And this doctrine of the love of God is to be held, and held fast, as being special and discriminating; not as a love of all, but of some only; for though the earth is full of the goodness of the Lord, and all the inhabitants of it partake thereof, and share the bounties of his providence; his tender mercies are over all his works, and he causes his sun to shine, and rain to descend on the just and unjust; yet he has a peculiar people whom he has chosen for himself, and to whom he bears a peculiar love; hence David desired (Ps. 106:4), that he would remember him with the favor he bore to his own people. This should be held, and held foot, as being what commenced from everlasting, and continues to everlasting; it was taken up in the heart of God before the world was, and he rests and abides in his love, and nothing is able to separate from it: it is as immutable and invariable as himself; as he is the Lord that changes not such is his love, yea, he himself is love, God is love (1 John 4:16); the states and conditions of men are various, but the love of God is the same in all; he may change his dispensations, but he never changes his love; when he hides his face, he still loves; and when he chides, chastises and corrects, he does not utterly take away nor at all take away his loving, kindness. This doctrine in this light is to be held fast, because the everlasting love of God is the bond of union to him, and is the source and spring of all the blessings of grace, which are exhibited and held forth in the several doctrines of grace. Thirdly, The doctrine of eternal, personal, and particular election, is another part of the form of sound words to be held fast; as that election is eternal, was from the beginning, as the apostle tells the Thessalonians (2 Thess. 2:13); not from the beginning of the gospel coming unto them, or from the beginning of their conversion and faith, but from the beginning of time, or before time: for the phrases, from the beginning, and from everlasting, are the same, as appears from Proverbs 8:23.Betides, the apostle expressly says, this choice was made before the foundation of the world (Eph. 1:4). It is also personal and particular; not a choice of propositions and characters, but of persons, he hath chosen us, as in the same place; not a choice of whole bodies of men, of nations, and churches, but of particular persons, known to the Lord by name; the Lord knows them, that are his (2 Tim. 2:19); I know whom I have chosen, says Christ (John 13:18): they are as if they were particularly named: hence their names are said (Philip. 4:3; Rev. 13:8; 17:8; 20:15): to be written in the Lamb's book of life. This choice is of pure grace; not on the foresight of faith; for faith is the fruit of it, flows from it, and is secured by it; as many as were ordained unto eternal life, believed (Acts 13:48): nor on the foresight of holiness, or on account of that; for God chore his people, not because they were holy, but that they might be so: he chose them through sanctification before time, and therefore calls them to holiness in time: nor because of their good works; for the children not being yet born, neither having done any good or evil, that the purpose of God, according to election, might hand, not of works, but of him that calleth (Rom. 9:11). And here it is called the election of grace (Rom. 11:5,6), and strongly argued not to be of works, but of the pure sovereign grace of God: and it is both to grace and glory, to special blessings of grace, of faith, and holiness, to conformity to the image of Christ now, and, to eternal glory and happiness hereafter, which is ensured by it; for, whom he predestinates; he also glorifies. Now, this part of the form of found words is to be held fast, because it stands foremost in the blessings of grace, and is the standard and rule according to which God proceeds in dispensing the rest; for he blesses his people with all spiritual blessings in Christ, according as he hath chosen them in him (Eph. 1:3). Fourthly, The doctrine of the covenant of grace is to be held fast, made between the eternal three, when there were none in being but themselves; no creature, neither an angel, nor a man, nor the soul of a man; none but God, Father, Son and Spirit, between whom and them alone the covenant-transactions were; even before the world was, or any creature whatever in being; hence it is called an everlasting covenant (2 Sam. 23:5.) being from everlasting; as well as it wilt continue to everlasting; which appears from Christ's being set up so early as the mediator of it, from the provision of blessings of grace in it so early, which were given to the elect in Christ, and they were blessed with them in him before the world was; and from promises made in it so early, particularly the promise of eternal life, which God, that cannot lie, promised before the world began (Titus 1:2). It is absolute and unconditional; no conditions in it but what were engaged to be performed, and have been and are performed by the Son of God, and by the Spirit of God: with respect to the persons on whose account the covenant was made; all the promises run in this stile, "I will be their God, and they shall be my people; I will put my fear in their hearts, and they shall not depart from me: I will take away the stony heart, and give them an heart of flesh; a new heart and a new spirit will I give them, and I will put my spirit within them, and cause them to walk in my statutes; and they shall keep my judgments, and do them" (Jer. 32:38-40; Ezek. 36:26,27). It is a covenant of pure grace to the elect:, and is sure, firm, and inviolable: it is ordered in all things and sure; its blessings are the sure mercies of David, and its promises are all yea and amen in Christ (2 Sam. 23:5; Isa. 55:3; 2 Cor. 1:20). It is a covenant God will not break, and men cannot: it is immovable, and more so than rocks and mountains; the mountains shall depart, and the hills be removed; but the covenant of peace shall never be removed (Isa. 54:10). Now the doctrine concerning this is to be held fall, because it is the bails of the works done by the Son and Spirit of God; of the Son's work in redemption, according to his suretyship-engagements in this covenant; and of the Spirit's work in sanctification, according to his own agreement in it. Fifthly, The doctrine of original sin, which opens and describes the state and condition of men by nature, is another part of the form of found words to be held fall; as that all men sinned in Adam, in whom they were federally as their covenant-head; in which respect he was the figure or type of him that was to come (Rom. 5:14); that is, of Christ. Hence the apostle gives the parallel between these two covenant-heads; the one, as conveying grace, righteousness, and life, to his feed; and the other, as conveying sin, condemnation, and death, to all his posterity. Besides, all men were in Adam seminally, in like sense as Levi was in the loins of Abraham, when he paid tithes to Melchizedek (Heb. 7:9,10): so all men were in the loins of their first father, and when he sinned, sinned in him, and were made, constituted, reckoned, and accounted sinners, by his disobedience. The guilt of his sin is imputed to them, so as that judgment comes upon them all to condemnation; and death reigns over them, and all die in him, and a corrupt nature is propagated from him to them: they are all, like David, shapen in iniquity, and conceived in sin: and indeed how can it otherwise be? for who can bring, a clean thing out of an unclean? not one (Job 14:41). There never was but one instance of Adam's race free from his sin, and that was the human nature of Christ: but then that did not descend from him by ordinary generation, but was brought into the world in a supernatural way, and so escaped the contagion of sin. Now it is necessary that this doctrine should be held fast, since it accounts for the corruption of human nature; shows the reason of men being so prone to sin, and biased to it; so impotent to that which is good; and so averse to it: and also shows the necessity of redemption, regeneration, and sanctification. Sixthly, The doctrine of redemption by Christ, is another part of the form of sound words to be held fast; as that it is special and. particular; though, Christ gave his life a ransom for many, yet not for all: those that are redeemed by him are redeemed from among men, out of every kindred, tongue, people, and nation: they are Christ's special people he came to save: his sheep the Father gave him, and he undertook the care or, he raid down his life for: the children of God, that were scattered abroad, he came to gather together by his sufferings and death; and his church he gave himself for, even the general assembly and church of the first-born, which are written in heaven: and that this redemption is procured by way of satisfaction to the justice of God; he redeemed his people by paying a price for it, even his, precious blood. Redemption was obtained by Christ through his sufferings, the just for the unjust; by his being wounded, bruised, and stricken, for the transgressions of his people; by bearing their iniquities, and the punishment of them; by his being made sin and a curse for them, thereby redeeming them from sin and the curses of the law; and this doctrine of redemption by the blood of Christ, and atonement by his sacrifice, should be held fast, it being the foundation of a sinner's peace, joy, and comfort. Seventhly, The doctrine of justification by the imputed righteousness of Christ, is another branch of the form of found words to be held tilt: this proceeds from the free grace of God, through the redemption that is in Christ; the matter of it is what is commonly called the active and passive obedience of Christ, which, with the holiness of his nature, are imputed, for justification, being what is required to it by the holy law of God; and hence sometimes men are said to be made righteous by the obedience of Christ, and sometimes to be justified by his blood (Rom. 5:9,10), which is put for his whole sufferings and death; by the one Christ has fulfilled the preceptive part of the law; and by the other has bore the penalty of it; and by both has given full satisfaction to it: the form of it is the imputation of righteousness without works, by an act of God's grace: this righteousness is revealed in. the gospel from faith to faith; and faith is wrought in the soul, to lay hold on it, receive it, and plead it as its justifying righteousness, from whence much peace and comfort flow. Justification may be considered as a sentence conceived in the divine mind from eternity; and as pronounced on Christ, the head and surety of his people, when he rose from the dead, and upon them in him; and as it is again pronounced in the conscience of a believer, when the righteousness of Christ is revealed to him, and received by him; and as it will be notified, and be openly and publicly pronounced before angels and men, when all the seed of Israel, or the whole elect in a body, shall be justified and shall glory. This is to be held fast; for, as Luther called it, it is articulus stantis vel cadentis ecclesiae, "the article by which the church stands or falls." Eighthly, The doctrines of pardon, peace, and reconciliation by the blood of Christ, are parts of this form of sound words to be held fast; that the pardon of sin is through the blood of Christ, which, as it was shed for the remission of sin, through it we have it, and through that only, and not on account of repentance, humiliation and confession, as meritorious or procuring causes of it; and that peace is made by the blood of Christ, from whence peace of conscience flows; and that both reconciliation for our sins, and reconciliation of our persons to God, is made by the death of Christ; hence the gospel which publishes this is called the word of reconciliation, and the gospel of peace (2 Cor. 5:19; Eph. 6:15), which therefore should be held fast. Tenthly and lastly, and which bring up the rear, the doctrine of the saints final perseverance is a part of this form of sound words to be held fast; even that all that are chosen by the Father, and redeemed by the Son, and sanctified by the Spirit, shall persevere in faith and holiness to the end; being encircled in the arms of everlasting love, secured in the everlasting covenant, united to Christ their head, surety, and savior, built on him the rock of ages, against which the gates of hell cannot prevail, and so are like mount Zion, which can never be removed; and being in the hands of Christ, out of whose hands none can pluck, and who is able to keep them from failing; and being kept by the power of God through faith unto salvation. These are at least some of the principal things which make up the form of sound words, which you, my Brother, are to hold fast, maintain and publish in your ministry. What remains now to be considered are the exhortation to hold it fall, and the manner in which it is to be done, on which I shall not long dwell. II. The exhortation respecting the form of sound words, hold fast. This supposes a man to have it, as all such exhortations suppose persons to have what they are exhorted to hold, and hold fast; and which is sometimes expressed; as, that which ye have already, hold fast till I come; and again, hold that fast which thou hast, that no man take thy crown (Rev. 2:25; 3:14): and Timothy, to whom the exhortation in the text is given, was in possession of the form of sound words; it was a sacred depositum committed to his trust. Hence it follows, that good thing, which was committed unto thee, keep by the holy Ghost which dwelleth in us; it was in his hand, in his head, and in his heart; the word is nigh thee, even in thy mouth and in thy heart; that is, the word of faith which we preach (Rom. 10:8); and what is had should be held; it should be held forth, holding forth the word of life (Philip. 2:16); and the word of light. Ministers are lights, and have light communicated to them, which should shine forth, and not be put under a bushel; what they have freely received they should freely give; what is told them in private in their studies, they should publicly declare, and affirm those things constantly; they should hold fast the faithful word, as they have been taught, and have taught others, and tenaciously abide by it; so Timothy was exhorted to do, and which will serve more fully to confirm and explain the exhortation here, continue thou in the things which thou hast learned, and hast been assured of, knowing of whom thou hast learned them (2 Tim. 3:14). This exhortation to hold fast the form of sound words, is opposed to dropping or departing from it, which may be done by those who have had it; men may receive the grace of God in vain; that is, the doctrine of the grace of God; they may first receive it with seeming pleasure and satisfaction, and afterwards reject it; they may fail of the grace of God in this sense, and fall from it partially or totally; so such that seek for and hold justification by the law, are fallen from grace (2 Cor. 6:1; Heb. 12:15; Gal. 5:4); from the doctrine of grace, and particularly from the doctrine of justification by the grace of God through the righteousness of Christ: and as private professors may drop and depart from the doctrines of the gospel formerly received and held by them, so may ministers of the word drop and depart: from found words and doctrines they have formerly professed and preached. And it is opposed to wavering about the form of sound words, and instability in it; and suggests, that such who have it should not be like children, tossed about with every wind of doctrine, nor be carried about, like meteors in the air, with divers and strange doctrines, doctrines various in themselves and foreign to the word of God; but should affirm constantly with baldness, confidence and courage, the truths of the gospel; for this also stands opposed to timidity, cowardice and pusillanimity; when they should be valiant for the truth, stand fast in the faith, quit themselves like men, and be strong; and not give way, no not for an hour, that the truth of the gospel might continue with the faints. Moreover this exhortation, considered in this light, supposes that Timothy, and so other gospel-ministers, may at times be under temptations to let go the form of found words, or drop the truths of the gospel, through fear of men, and because of the obloquy, reproaches and persecutions of men, see verses 7, 8, 12, they may be tempted hereunto, as on the one hand to escape being censured as bigots, enthusiasts, narrow-spirited men, and void of common-sense and reason; and on the other hand to obtain the characters of men of sense, of moderate principles, of candor and ingenuity, and of being polite and rational preachers. And it also suggests that there might be such persons who fought every opportunity to wring this form of found words out of the hands of Timothy, and so of any other minister of the word, as well as of those under their ministry; men that lie in wait to deceive, to beguile and corrupt the minds of men from the simplicity in Christ, and therefore to be guarded against. III. The manner in which the form of found words is to be held fast; in faith and love, which is in Christ Jesus: which words may be connected with the phrase which thou hast heard of me. Timothy had heard the apostle preach those found doctrines with great faithfulness; for he was a faithful minister of the gospel, who kept back nothing that was profitable, and shunned not to declare the whole counsel of God; he had heard him speak the truth in love, with great warmth of affection, with much vehemence and fervency of spirit; and he himself had heard and received the word preached in faith, and had mixed it with faith, and digested it by it, and was nourished with it; he had received the love of the truth, and the truth in the love of it: and the phrase, viewed in this light, contains a reason why therefore he should hold fail: the form of found words he had received in such a manner: or they may be considered as connected with the form of found words; as if faith and love were the subjects of it; that it lay in things to be believed, as the gospel does; and therefore called the word of faith, the faith of the gospel, and the faith once delivered to the faints; and in duties and ordinances to be observed from love to God and Christ; and so is a reason as before, why it should be held fast: or else it is to be connected with the exhortation hold fast; and so directs to the manner in which it is to be held; the faithful word, the word to be believed, is to be held, held forth, and held fast in faithfulness; he that hath my word, this form of sound words in his head, and in his mouth and heart, let him speak my word faithfully; what is the chaff to the wheat? saith the Lord (Jer. 23:28), and this word of truth is to be held fast and spoken in love; in love to God, to Christ, to the word, and to the souls of men. It follows, which is in Christ Jesus; either the form of found words is in him; all truth is in him, he is full of that as well as of grace; all the treasures of wisdom and knowledge, of the mysteries of grace, are hid in him (1 Tim. 4:12-16), and they come from him; the words or doctrines of wisdom and knowledge are given from one shepherd (Col. 2:3), Christ, to his under shepherds, to feed his churches with knowledge and understanding: or else this is to be understood of the graces of faith and love, in the exercise of which the word is to be preached, heard and held fast; there are originally in Christ, and come from him; the grace of our Lord was exceeding abundant with faith and love, which is in Christ Jesus (Eccl. 12:11); as well as they are exercised on him as the object of them. Thus have I considered this charge of the apostle to Timothy, in the method proposed; and you, my Brother, should receive it as if it had been delivered to you, it being what concerns and is obligatory upon every minister of the gospel: I shall close with some other branches of the apostle's charge, to Timothy, which you would do well also to advert unto; Be thou an example of the believers, in word, in conversation, in charity, in spirit, in faith, in purity., Give attendance to reading, to exhortation, to doctrine-neglect not the gift that is in thee, meditate upon these things, give thyself wholly to them, that thy profiting may appear to all., Take heed unto thyself, and unto the doctrine, continue in them; for in doing this, thou shalt both save thyself and them that hear thee (1 Tim. 1:14). I have done; God give success to your ministrations. See my Comment on Hebrews 6:1. Zohar in Genesis 1:3, and in Exodus 18:3,4, and in Numbers 67:3. Of such absurdity and inconsistence the late Dr. Ridgley was guilty; exploding the doctrine of the generation of the Son of God, and adopting the Socinian notion of sonship by office; and yet at the same time declaring for a distinction of three divine persons in the Godhead. A strange paradox this! and it is a disgrace to that body of men of whole denomination the Doctor was, that none of his brethren attempted to refute him, though they in general disliked his opinion and dissented from him; perhaps they thought the contradiction was so glaring, that his own notions confuted themselves; this is the best apology I can make for them.